The registration of land property enables you to dispose of them at its discretion, to sell, give, change, etc With the leased land can not do that because the owner is a local municipality. In order to issue title, you need to collect a number of documents. To registration of land apply to the local municipality. To register the ownership of landrequired to issue cadastral passport and to deliver the land plot cadastral registration. To do all this you will be at your expense. Contact a unified accounting of land, cadastre and cartography. Complete the application form for challenge of cadastral engineer. You will be put on a waiting list and will inform the date of arrival of the specialist. The queue can stretch for 6 months or more, as these specialists are very few, and all licensed firms no longer have the right to conduct the survey and compile technical documents for the production of a land plot cadastral registration. After the specified period you will come to the engineer, will survey, area survey, will make a plan. After you get all the technical papers which refer back to the center of the unified registration of land plots. Your site will put on the cadastral registration, will issue a cadastral passport for it. Take the extract from the cadastral passport, copy of cadastral plan, make photocopies with the received statements and submit them to the local administration. On the basis of the decision of the head of the district administration, you will be able to register ownership rights to land. It can transfer for free if you have never designed a land area of rental property or sell for the cadastral value. If you plot the charge is transferred before registration of property rights, will pay specified in the judgment amount and submit a copy of the receipt to the administration. With the decision, the receipt, extract from the cadastral passport and a copy of the cadastral plan, contact the Federal office of the state registration center. Write a statement, submit the documents. After 30 days you will receive a certificate of ownership of the land. 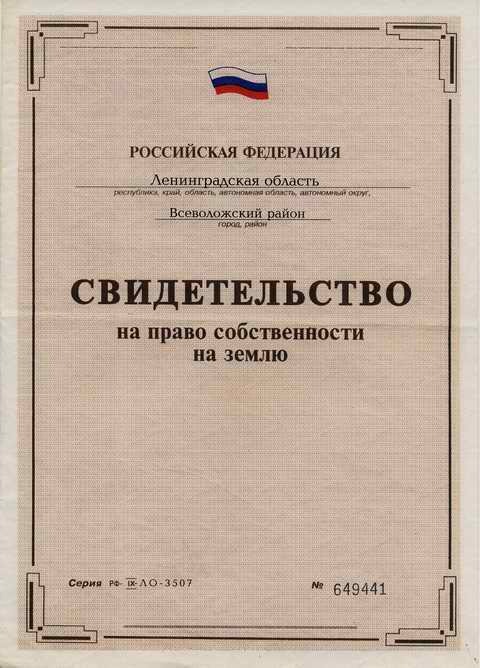 Read the articles 20, 21, 28, 29, 36, 37 the Land code of the Russian Federation. Article 164, 131 of the Civil code. Federal law 122-F3. All these legal acts regulate the registration of ownership and transition rules of land from the rental property.